Every medical emergency is extraordinary - when it’s yours. That’s why the emergency team of Bethesda Hospital East is always ready for you and your family. 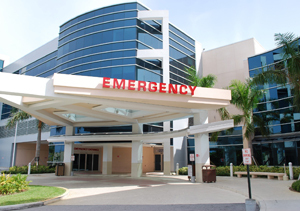 At the forefront of emergency care, Bethesda Hospital East is committed to providing quality emergency care 24 hours a day. Our team of experienced, Emergency-trained physicians, Pediatric Emergency physicians, physician specialists and nurses all work together to provide compassionate, world-class care when you need it most. In addition, our state-of-the art facility was designed to provide efficient and effective treatment for all levels of emergencies. Divided into separate sections, 43-private treatment rooms are used to deliver specialized care, including cardiac emergencies, pediatric emergencies and even an “express care” area for less serious illnesses and injuries.